Entertainment executive hails decision as "a win for ... the First Amendment"
A federal judge has barred the Chicago Transit Authority from banning ads for video games that contain graphic violence, saying the measure is "overboard, ineffectual and not narrowly tailored." Judge Rebecca R. Pallmeyer issued a 22-page preliminary injunction against enforcement of the ban Thursday, saying it appears to violate the constitutional right to free speech. She issued a preliminary injunction against enforcing it. Pallmeyer said CTA trains and buses already have been found to be a public forum where free speech is protected. CTA spokeswoman Catherine A. Hosinski issued a statement Friday saying the transit system disagrees with the ruling and is weighing its options. 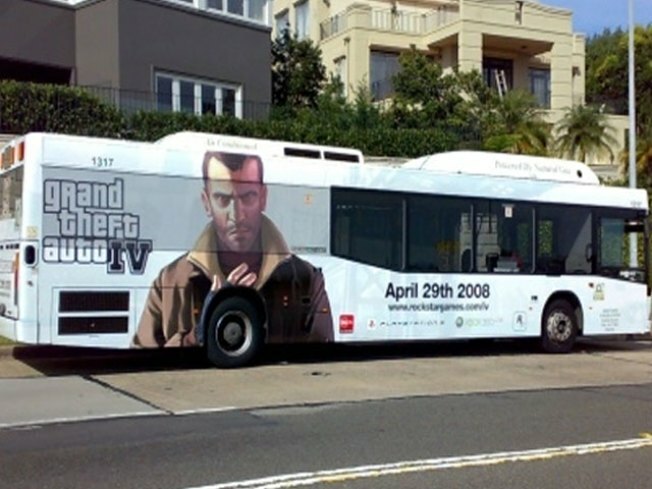 The CTA imposed its ban on ads for video games that are rated "M" for mature or "AO" for adults only in January 2009, after a TV station criticized it for permitting an ad for the video game Grand Theft Auto IV. While the game contains graphic violence, the ad for it does not. Video games with a rating of "M" or "AO" may contain graphic violence, sexual content or strong language. The CTA said it was concerned that such video games could encourage youth violence. The CTA said 1.7 million people use the mass transit system every day, many of them youngsters going to or coming from school. Pallmeyer said that argument was questionable. "The CTA's claimed concern for the welfare of its young riders may be a legitimate state interest, but the ordinance it relies on to achieve that interest is overbroad, ineffectual and not narrowly tailored," she said. She said there was no sign such ads caused problems when they appeared on trains and buses in previous years. "The CTA has been operating a public forum for expression for more than 20 years and it has previously displayed advertisements in the very category it now seeks to prohibit without any known grievous injury to the riding public beyond possible annoyance," she said. Michael D. Gallagher, president and chief executive officer of the Entertainment Software Association, praised the ruling as "a win for Chicago's citizens, the video game industry and, above all, the First Amendment."